Aquafaba is the name for the viscous water in which legume seeds; such as chickpeas or white beans have been cooked and canned. The most common use of aquafaba is as a replacement for egg white. It is composed of carbohydrates, proteins, and other soluble plant solids which have migrated from the seeds to the water during the cooking process. This unique combination of ingredients gives it a wide spectrum of emulsifying, foaming, binding, gelatinizing and thickening properties. 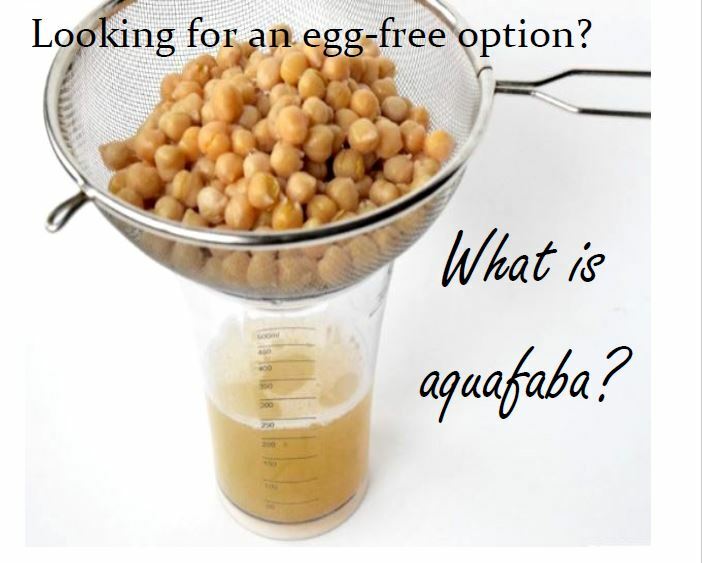 Aquafaba has about one tenth of the protein that egg whites have for a given weight. The difference in protein content may enable people who cannot properly metabolize proteins (e.g., PKU) a way to enjoy egg-based foods. The best aquafaba seems to be from chickpeas and white beans like great northern beans. The simplest way to use it is to decant the liquid from canned legumes such as white beans or chickpeas. However, the water from the boiling of raw beans is also suitable. The general recommendation for egg replacement in Chebe recipes: 75g aquafaba (6 Tbsp) = 2 large eggs. Many of the Chēbē recipes on these pages that ask for eggs can be modified to use 3 Tbsp for each egg requested. We encourage you to take pictuers of your creations and send them to us. Aquafaba is bean water. Or rather, the liquid from any can of beans. For baking, bean water from chickpeas or white navy beans works very well as the color is clear and will not discolor whatever it is you are baking. Aquafaba is a great egg substitute for many of the recipes on recipes.chebe.com as well as many other baking recipes that call for eggs.